Having experienced the warmest summer on record in 2018, Britain is facing the coldest winter in living memory according to experts, with the weather set to bite right up until the end of February. The UK’s notoriously unpredictable weather can be a turn-off for would-be holidaymakers who aren’t willing to brave the elements, especially during the winter months. But savvy holiday park owners have got it covered when it comes to weather-proof activities for all the family, and providing indoor play facilities to keep the kids entertained is top of the list. 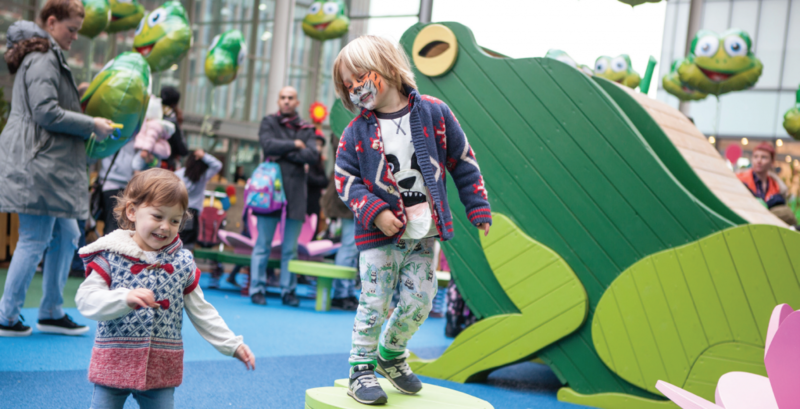 Indoor play can take many forms, from conventional soft play zones to indoor rides, amusements and water leisure areas. Parks that offer exciting indoor entertainment are sure to stand out from the crowd. At Hendra Holiday Park in Cornwall, offering all-weather activities for children is a top priority. The fi ve star park invested in a new soft play area in 2017 and is reaping the benefits. “Offering indoor play is a huge benefi t to parents holidaying in the UK. It is good to have an indoor weather attraction for children, so there is always something to do,” comments Clare Jackson of Hendra Holiday Park. 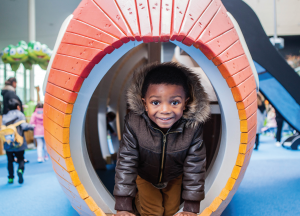 The park’s soft play area, known as Henry's Play Loft is designed for children from the ages of 0-10 years old and has a tots area for the under twos. Meanwhile parents and families can relax in the comfortable seating area and there are refreshments available too. “We continue to update and maintain the areas as required to keep them clean and in tip-top condition,” says Clare. “The soft play area is generally popular among the smaller children, as is our Oasis indoor pool, which is one of the reasons we get many repeat bookings. 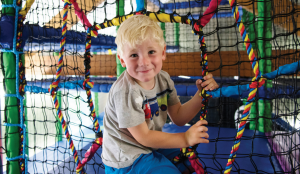 There is a small charge for guests to use the pool facilities, but the soft play area is free.” According to the Play Providers Association (PPA), there are well over 600 independently operated indoor play sites across the country, with an increasing number of pubs, restaurants and holiday parks now offering indoor play equipment. “Over the last few years there has been a considerable increase in the number of indoor soft play areas. At the same time the scope of activities in these areas has increased and more adventurous items are constantly being introduced,” comments a spokesperson for the PPA. Steve Sylvester, Managing Director of KOMPAN UK and Ireland agrees: “A cleverly designed indoor play space will have the end result of happier, more positive visitors who will thrive in your environment and forever long to return.” He adds: “Your play area can be part of your success story, inspiring great tales of the perfect family holiday or day out.” KOMPAN is a leading supplier of playground equipment for play areas, parks and sports areas. The company specialises in the design of innovative equipment for all ages and abilities. “Young children love a space filled with bright colours, friendly shapes and rounded edges. A well-planned play area can be one big play invitation to role-play; firefighter or princess one day and pirate captain the next" says Steve.